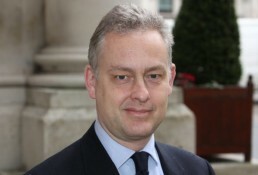 The important announcement by Spanish PM Pedro Sanchez last week, and the approval by the Consejo de Ministros of the Royal Decree covering Spain’s Brexit contingency measures, has been welcomed by the British Ambassador to Spain, Simon Manley. “The UK Government’s top priority remains securing a deal with the EU that wins the support of the UK parliament. However, like any responsible government, the UK Government is planning for every eventuality. It has already announced a series of no deal contingency measures, published extensive advice to business and citizens, and has guaranteed the rights of EU nationals living in the UK. Health Minister Stephen Hammond said: “This is a positive step forward in securing an agreement which will enable British expats to access Spanish healthcare in the same way they do now. “This should also give reassurance to the millions of British tourists who travel to Spain every year using the EHIC scheme for free or reduced medical costs if they need to see a doctor or nurse. The Royal Decree states that UK nationals living in Spain will maintain their legal residence status after March 29 and that they, and their family members, will have until December 31 2020 to get a Foreigner’s Identity Card. Further information on the process for obtaining this card will be released in due course. It is essential that all British nationals living in Spain check their residency status and ensure they are correctly registered. On healthcare, the UK has offered to fund healthcare in Spain for UK nationals who would benefit from the S1 / EHIC schemes until 31 December 2020 on a reciprocal basis. The UK is also protecting healthcare for Spanish nationals in the UK. Through the Royal Decree, the Spanish Government has said that it will introduce measures that will protect healthcare for UK nationals in Spain, whether they be resident or visiting, utilising the pre-existing reimbursement mechanisms. Dog owners were yesterday warned not to take their pets for walks in La Campana after at least five dogs were poisoned on the same day, with one dead. The news raised fears that the pet poisoner, who killed more than 15 dogs in Nueva Andalucia in 2017, is back. The alarm was raised by Borja, a vet at the UrVet clinic in Marbella, through the Facebook group "Animals lost and found in Marbella". He reported that he had treated five dogs with the same symptoms as the previous time. He explained that "it is the same as last year", referring to the cases that occurred in October 2017. "We do not know with certainty what it is, but simply inhaling can cause death," he added. On the same group a woman posted that her small dog had died in La Campana, allegedly showing the symptoms of being poisoned. The vet also advised that dogs and small children would be at risk until it rained, and that he had reported the poisonings to the Policia Local. 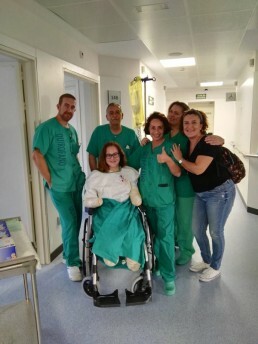 The case of Marbella youngster Sarah Almagro, who lost her hands and feet due to meningococcus, has seen the Marbella community rallying around her. There are number of fundraising projects and events to get her the prosthesis she needs to lead a full and normal life. Specsavers Ópticas in Marbella are stocking the special fundraising bracelets than can be picked up for a small donation of 2.50€ a They have been supporting this campaign since December and will continue to do so until the family has raised the 200,000€ Sarah needs to get her back on her feet and live the life she had planned. All donations go to the association Somos tu Ola (We are your Wave), a not for profit organization set up by friends and family of Sarah to help them fundraise for Sarah and other children, teens and adults who have had limbs amputated due to sepsis. Specsavers Ópticas Marbella are encouraging their customers and local residents to get involved with the campaign and help this young woman, and others like her, by getting their bracelet and making a donation in store on Avenida Ricardo Soriano 12, next to Massimo Dutti. 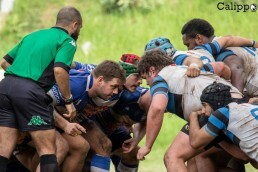 If all the 6 Nations action has you itching to see the real thing up close and personal, then don't miss Trocadero Marbella Rugby Club's match against CR Ciencias Sevilla this Sunday, February 24. Kicking of at 1.15pm, Marbella, currently sixth in the league with 46 points will have to pull off the performance of the season so far to beat CR Ciencias Sevilla, who have yet to lose a game and lead with 87 points. With the fanatical suppport of the passionate fans at "Fortress Bahia", however, you never know - an upset might just be on the cards! The Teatro Cuidad de Marbella is the venue for the performance, part of the 2019 tour by Juan Delola. 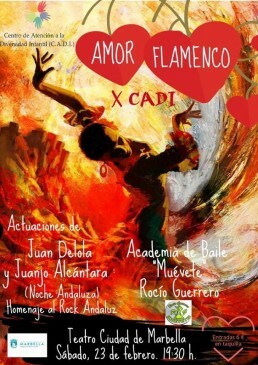 Dance students from the Rocío Guerrero Academy are also taking part, as well as mothers and children from CADI itself! With funds raised going to help pay for the therapies that the youngsters need, the event is sure to see art, passion and duende! The performances start at 7.30pm with tickets at 6euros. The recent blazes that burnt out Bounty Beach and Playa Padre, were "not related". That is the opinion of Maria Gámez, goverment delegate in Malaga, who made the comment during a visit to Antequera yesterday. 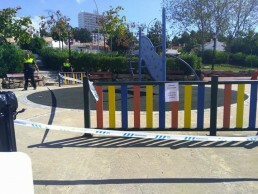 Despite the fact that the beach clubs were on the same beach, only a few hundred metres apart and caught fire within eight days of each other, Gámez said that the blazes "were not related," although quickly added that "it seems that they were intentional," remembering that police investigations are still underway. Gámez also claimed they were "isolated events, although they coincided in time and proximity" and also pointed out that Playa Padre was completely gutted, while Bounty Beach's blaze severely damaged one part of the chringuito. Police are working on the theory that the blaze, which took place on Tuesday afternoon, was started intentionally. So far no arrests have been made in either case. BREAKING NEW: Bounty Beach Burns! Bounty Beach, located on Marbella's El Cable Beach, caught fire this afternoon. The fire takes place a week after the blaze that gutted Play Padre, also on El Cable Beach. In that case police believe the fire was started deliberately. Before I start this post, I want to be clear – I am not an expert on the subject of privilege and I do not claim to. I can’t claim to know what it is like living in a body that has been shamed, criticised and made into an ‘epidemic’ by the media. But I am well aware of my privilege and I’m learning. People cannot help their position, anymore than you or I can, but it was interesting to me how they did not and could not accept that obesity MAY NOT EQUAL DEATH AND DISEASE!! I explain weight stigma and fat phobia and the pressure of being thin and beautiful (men included). This is totally fine, I am always prepared with stats and research – and I’m aware they have been taught a black and white version of health and weight. HAES is giving a much needed voice to everyone who feels they are less than, but it is not FOR the majority – it is not FOR the ones who haven’t struggled to be physically accepted. Yes, there’s so much research showing this that and the other but this is what gets me – where is the COMPASSION for people? To see people as more that diseases and statistics? Obesity does not mean death and disease. But even if it did, can we look at obese people as just people? Not as a THING that needs to be changed and manipulated and even fetishised? There’s so much more to say on this subject, and I plan to write more on it, but for now I’ll finish on this – nothing in life is black and white, especially not in health. 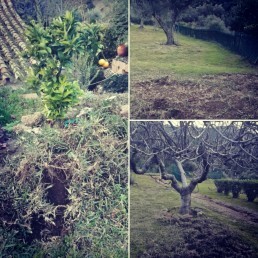 Spring has sprung early in the campo. There is almond blossom everywhere as Nature goes into seasonal overdrive, and my garden was looking particularly splendid, a minor miracle considering that I’m now in charge of it since my gardener, maintenance man and all around “fixer”, the multi-talented Florin, has moved on. Luckily he pops back every few weeks to make sure that the place is still standing and check on the water levels in the deposit tank. Otherwise the Casita might be looking like one of those artist’s impressions of what the world would look like if humans vanished – overgrown buildings, abandoned cars, cats lording it over the place – which is pretty much standard round at mine most days. As well as the flora, the local fauna has been active too. Rabbits scurrying up the track, wild goats coming down to drink on the far bank of the lake, and the local fox slinking out of sight of the headlights most nights. Even the house guest has been active, though her current hobby of building stone totems in the garden took me by surprise. I was fiddling with the lock on the main gate one night when my peripheral vision made out a shadowy figure in the garden. I almost had a heart attack on the spot until I swung my head torch on it and it revealed itself as an “artistically arranged” pile of seven stones. Needless to say it didn’t last long. My biggest problem this year, however, has been the wild boar. (And if you, like me, were a teenager in the 80s, then you can’t read those worlds without hearing Duran Duran in your head.) Like a determined and demented bunch of porkers auditioning for the Istan amateur dramatic version of ‘The Great Escape’, they have made repeated forays under my fence and ripped up swathes of the garden. I’m scratching my head what to do about them, with my current plans, as I survey the devastation, of sitting on an office chair at night with a touch strapped to the 12 bore. A sort of grumpy and well armed campo lighthouse, if you will. Alicia Duggan at The Bookshop reviews the latest releases. 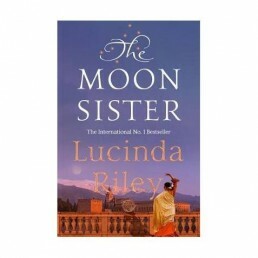 Moon Sister is the eagerly awaited fifth volume in the Shadow Sisters series, however, the books can also be read as stand-alone novels. This novel follows one of Pa Salt’s adopted daughters, Tiggy. Tiggy takes a job caring for animals on the Scottish estate of Kinnaird where she meets Chilly, a gypsy, who informs her that she has a sixth sense passed down from her Spanish ancestors. This revelation takes Tiggy to Granada and the Alhambra. She discovers her connections to the Gypsy community of Sacromonte, who suffered appalling treatment under Franco during the Spanish Civil War. From here Tiggy travels to South America and New York on a journey of self-discovery. With meticulous historical detail and a captivating narrative, Lucinda Riley’s latest offering does not disappoint.